Five historical volumes covering the period 1863-1975 are available online in PDF format. They provide an overview of the ICRC operational and legal activities and therefore provide an ideal springboard for more in-depth research in the ICRC archives. Pierre Boissier – Geneva : Henry Dunant Institute, 1985. – 391 p.
This first volume of the History of the ICRC was initially published in 1963, marking the centenary of the founding of the Red Cross. It covers the institution from 1859 to 1912 and the evolution of the law of war from the 1864 Geneva Convention to the Hague Convention No. X of 1907, as battles raged from Solferino (1859) to Tsushima (1905). The author describes ICRC operations at a time when relief societies and armed conflicts were increasing in numbers: the Franco-Prussian War of 1870, the Russo-Turkish War of 1875-1878, the Spanish-American War of 1898. André Durand – Geneva : Henry Dunant Institute, 1984. – 590 p.
This book takes up the history of the ICRC at the point where Pierre Boissier left it in the previous volume. It covers the period from the war in Tripolitania in 1911 to the end of the Second World War a period filled with dramatic events: civil strife, regional conflicts, revolutions and international wars, the effects of which shaped the world of today. During that time the law for the protection of war victims developed, extending to prisoners of war as well as to wounded and sick soldiers on land and at sea. ICRC action went even beyond the scope of that law, reaching the civilian population increasingly affected by more advanced means of warfare, in particular aviation, which made it possible to bomb inhabited areas. In addition, the Red Cross expanded to include peacetime work. The League, now called the International Federation of Red Cross and Red Crescent Societies, was founded in 1919. Catherine Rey-Schyrr – Geneva : ICRC, 2017. – 678 p.
From Yalta to Dien Bien Phu recounts the work of the ICRC during the decade following the Second World War – the era of conflicts related to decolonization – in south-east Asia, Palestine, etc. – and to the Cold War, in Korea. Using ICRC archives, this book looks at how the ICRC, weakened by the Second World War, responded to these new challenges and recovered. Françoise Perret and François Bugnion – Geneva : ICRC, 2018. – 571 p.
This fourth volume covers the years 1956-1965, a decade that was profoundly marked by heightening tensions in the Cold War. Among other events, the book examines the Hungarian uprising of October 1956, the Cuban missile crisis, which brought the world to the brink of nuclear war in October 1962, and the heavy US involvement in Vietnam in the spring of 1965. During this period, the ICRC also faced new challenges in its work for the victims of conflict, particularly in relation to the status of “irregular combatants”, the wars of national liberation, the practice of torture and the nuclear threat, issues that still remain highly relevant today. Jean-Luc Blondel – Geneva : ICRC, 2016. 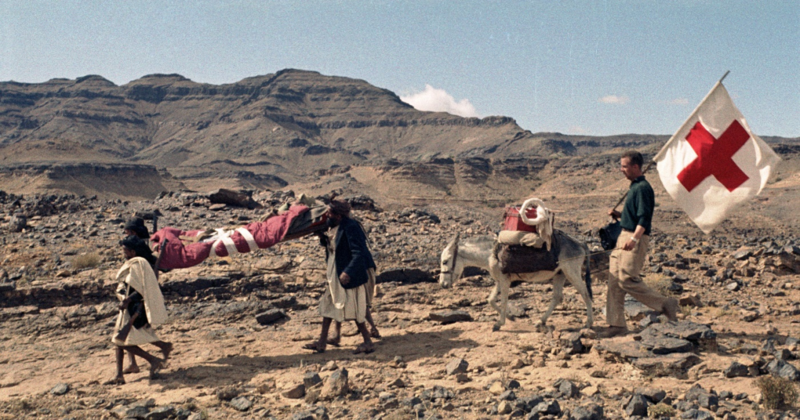 – 86 p.
This study presents the work carried out by the ICRC from 1966 to 1975. It picks up where the previous study commissioned by the ICRC left off, in Vietnam. Drawing on archives recently opened to the public, it provides a broad chronological and geographic overview of the ICRC’s activities between 1966 and 1975, and an account of the ICRC’s work aimed at further developing international law and during this period. It helps the reader to understand how the ICRC, whose work had initially been limited to providing ad hoc relief in emergency situations, became an increasingly professional organization, capable of managing major operations at any given moment, anywhere in the world. Note: This study follows chronologically from other books the ICRC has published on its history, but it does not apply the same methodology. Its goal is different: to provide readers and historical researchers with an overview of the ICRC’s work, discussions and initiatives during this period, in order to guide more specific studies on the history of the ICRC, humanitarian action, conflicts or development of international humanitarian law. For more information on the ICRC’s history, a large number of documents can be accessed online, through the audiovisual archives portal, the library’s online catalog or the research guides prepared by the ICRC librarians. Forword written by Jean Pictet for André Durand’s book, History of the International Committee of the Red Cross. 2 : From Sarajevo to Hiroshima, Geneva : Henry Dunant Institute, 1984.